Climate change refers to significant, long-term changes in the global climate. 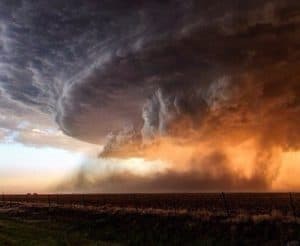 The global climate is the connected system of sun, earth and oceans, wind, rain and snow, forests, deserts and savannas, and everything people do, too. The climate of a place, say New York, can be described as its rainfall, changing temperatures during the year and so on. But the global climate is more than the “average” of the climates of specific places. A description of the global climate includes how, for example, the rising temperature of the Pacific feeds typhoons which blow harder, drop more rain and cause more damage, but also shifts global ocean currents that melt Antarctica ice which slowly makes sea level rise until New York will be under water. It is this systemic connectedness that makes global climate change so important and so complicated. Global warming is the slow increase in the average temperature of the earth’s atmosphere because an increased amount of the energy (heat) striking the earth from the sun is being trapped in the atmosphere and not radiated out into space. The earth’s atmosphere has always acted like a greenhouse to capture the sun’s heat, ensuring that the earth has enjoyed temperatures that permitted the emergence of life forms as we know them, including humans. Without our atmospheric greenhouse the earth would be very cold. 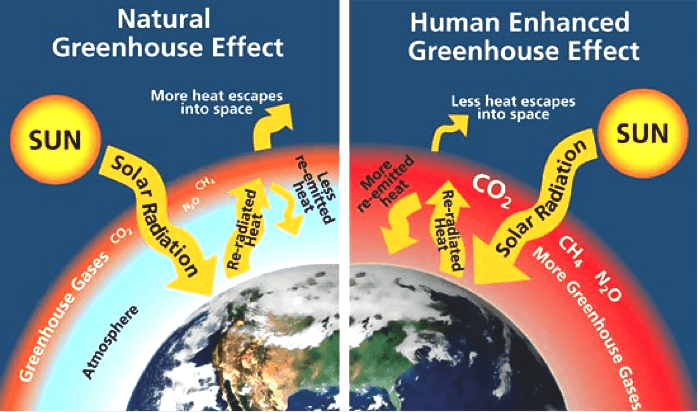 Global warming, however, is the equivalent of a greenhouse with high efficiency reflective glass installed the wrong way around. Ionically, the best evidence of this may come from a terrible cooling event that took place some 1,500 years ago. Two massive volcanic eruptions, one year after another placed so much black dust into the upper atmosphere that little sunlight could penetrate. Temperatures plummeted. Crops failed. People died of starvation and the Black Death started its march. As the dust slowly fell to earth, the sun was again able to warn the world and life returned to normal. Today, we have the opposite problem. Today, the problem is not that too little sun warmth is reaching the earth, but that too much is being trapped in our atmosphere. So much heat is being kept inside greenhouse earth that the temperature of the earth is going up faster than at any previous time in history. NASA provides an excellent course module on the science of global warming. How does Global Warming drive Climate Change? 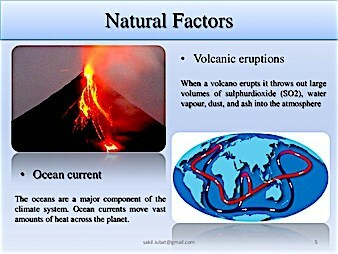 Much of the world is covered with ocean which heats up. When the ocean heats up, more water evaporates into clouds. Where storms like hurricanes and typhoons are forming, the result is more energy-intensive storms. A warmer atmosphere makes glaciers and mountain snow packs, the Polar ice cap, and the great ice shield jutting off of Antarctica melt raising sea levels. Changes in temperature change the great patterns of wind that bring the monsoons in Asia and rain and snow around the world, making drought and unpredictable weather more common. This is why scientists have stopped focusing just on global warming and now focus on the larger topic of climate change. 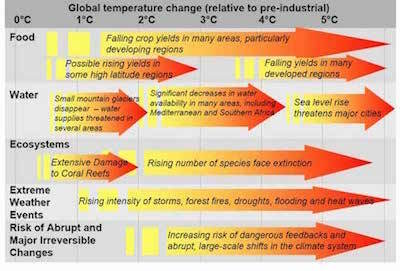 There are three positions on global warming: (1) that global warming is not occurring and so neither is climate change; (2) that global warming and climate change are occurring, but these are natural, cyclic events unrelated to human activity; and (3) that global warming is occurring as a result primarily of human activity and so climate change is also the result of human activity. The claim that nothing is happening is very hard to defend in the face or masses of visual, land-based and satellite data that clearly shows rising average sea and land temperatures and shrinking ice masses. The claim that the observed global warming is natural or at least not the result of human carbon emissions (see Climate Skeptics below) focuses on data that shows that world temperatures and atmospheric CO2 levels have been equally high or higher in the past. They also point to the well understood effects of solar activity on the amount of radiation striking the earth and the fact that in recent times the sun has been particularly active. 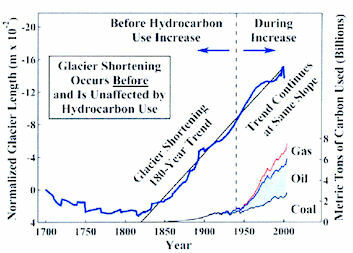 In general, climate scientists and environmentalists either (1) dispute the data based on, for example, new ice core data or (2) suggest that the timing issue – that is, the rapidity with which the globe has warmed and the climate changed simply do not fit the model of previous natural events. They note also that compared to other stars the sun is actually very stable, varying in energy output by just 0.1% and over a relatively short cycle of 11 to 50 years quite unrelated to global warming as a whole. The data strongly suggests that solar activity affects the global climate in many important ways, but is not a factor in the systemic change over time that we call global warming. Specifically, gases released primarily by the burning of fossil fuels and the tiny particles produced by incomplete burning trap the sun’s energy in the atmosphere. Scientists call these gases “greenhouse gases” (GHGs) because they act like the wrong way reflective glass in our global greenhouse. Scientists call the tiny particles ‘black carbon’ (you call it soot or smoke) and attribute their warming effect to the fact that the resulting layer of black particles in the lower atmosphere absorbs heat like a black blanket. Scientists date the beginning of the current warming trend to the end of the 18th or beginning of the 19th century when coal first came into common use. 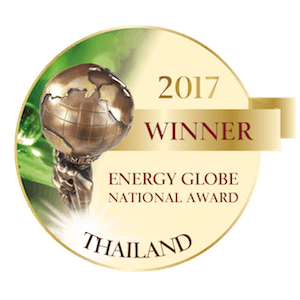 This warming trend has accelerated as we have increased our use of fossil fuels to include gasoline, diesel, kerosene and natural gas, as well as the petrochemicals (plastics, pharmaceuticals, fertilizers) we now make from oil. 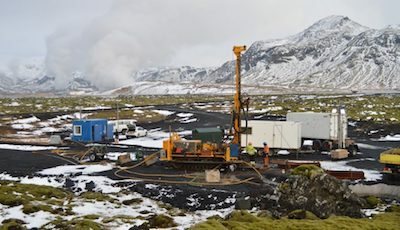 Scientists attribute the current warming trend to the use of fossil fuels because using them releases into the atmosphere stores of carbon that were sequestered (buried) millions of years ago. The addition of this “old” carbon to the world’s current stock of carbon, scientists have concluded, is what is heating our earth which causes global warming. 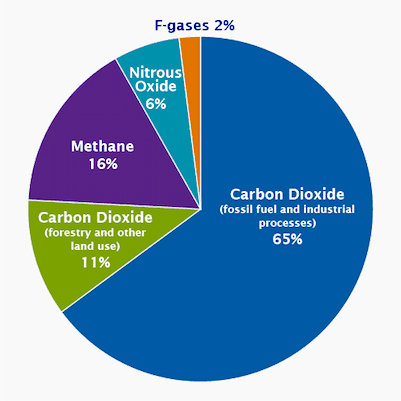 What are the most important greenhouse gases(GHGs)? The most common and most talked about greenhouse gases is CO2 or carbon dioxide. In fact, because it is so common, scientists use it as the benchmark or measure of things that warm the atmosphere. Methane, another important GHG, for example, is 28-36 times as warming as CO2 when in the upper atmosphere (USEPA GWP – Global Warming Potential – estimate over 100 years), therefore, 1 ton of methane = 28-36 tons eCO2 or CO2 equivalents. CO2 or carbon dioxide is produced any time something is burned. It is the most common GHG, constituting by some measures almost 55% of total long-term GHGs. 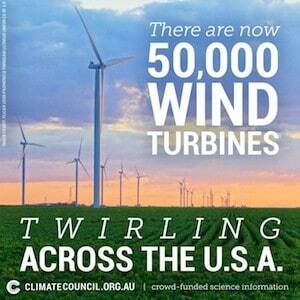 It is used as a marker by the United States Environmental Protection Agency, for example, because of its ubiquity. Carbon dioxide is assigned a GWP or Global Warming Potential of 1. Methane or CH4 is produced in many combustion processes and also by anaerobic decomposition, for example, in flooded rice paddies, pig and cow stomachs, and pig manure ponds. Methane breaks down in approximately 10 years, but is a precursor of ozone, itself an important GHG. CH4 has a GWP of 28-36. Nitrous oxide in parean (laughing gas), NO/N2O or simply NOx is a byproduct of fertilizer production and use, other industrial processes and the combustion of certain materials. Nitrous oxide lasts a very long time in the atmosphere, but at the 100 year point of comparison to CO2, its GWP is 265-298. Fluorinated gases were created as replacements for ozone depleting refrigerants, but have proved to be both extremely long lasting and extremely warming GHGs. They have no natural sources, but are entirely man-made. At the 100 year point of comparison, their GWPs range from 1,800 to 8,000 and some variants top 10,000. Sulphur hexafluoride or SF6 is used for specialized medical procedures, but primarily in what are called dielectric materials, especially dielectric liquids. These are used as insulators in high voltage applications such as transformers and grid switching gear. SF6 will last thousands of years in the upper atmosphere and has a GWP of 22,800. What is black carbon and how does it cause global warming? Black carbon (BC) is tiny particles of carbon released as a result of the incomplete combustion of fossil fuels, biofuels and biomass. These particles are extremely small, ranging from 10 µm (micrometers, PM10), the size of a single bacterium to less than 2.5 µm (PM2.5), one thirtieth the width of a human hair and small enough to pass through the walls of the human lung and into the bloodstream. Although BC – think of the plume of smoke from a chimney or a fire – falls out of the lower atmosphere in days, while it is suspended in the air, it absorbs the sun’s heat millions of times more effectively than CO2. When wind carries BC over snow, glaciers or ice caps where it falls out onto the white, normally reflective surface, it is particularly damaging because it contributes directly to melting. 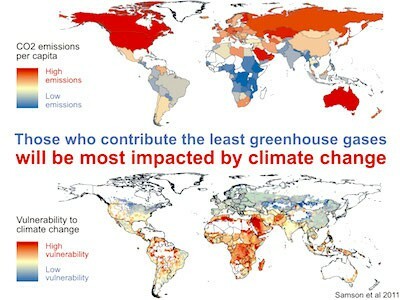 Overall, BC is considered the second biggest contributor to global warming after CO2. What are the most important sources of GHGs and black carbon? 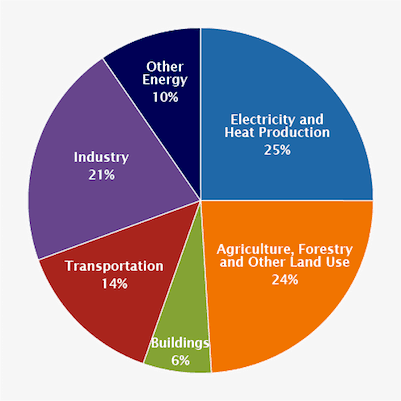 Fossil fuel and related uses of coal and petroleum are the most important sources of GHGs and black carbon (power generation, industry, transportation, buildings). Agriculture is the second most important source (animals – cows and pigs), feed production, chemical intensive food production, and flooded paddy rice production, as well as deforestation driven by the desire to expand cultivated areas. 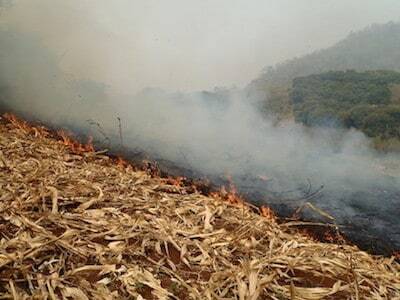 Natural sources of GHGs and black carbon include forest fires, savanna fires and volcanos. The most compelling climate change evidence scientists have of climate change is long term data relating atmospheric CO2 levels and global temperature, sea level, the expanse of ice, the fossil record and the distribution of species. 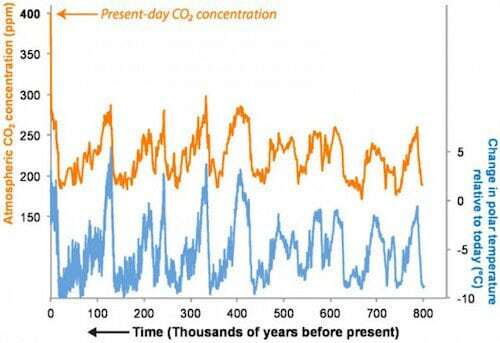 This data, which goes back millions of years, shows a strong correlation between CO2 levels and temperature. 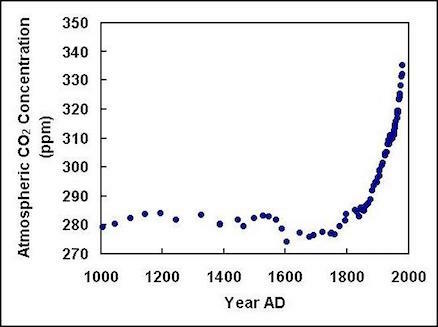 Recent data shows a trend of increasing temperature and rising CO2 levels beginning in the early 19th century. Because all parts of the global climate are connected, scientists have been able to create models of how changes caused by heating should work their way through the entire system and appear in different areas, for example, sea level, intemperate weather, the movement of fish species in the ocean. Testing whether or not predicted changes have occurred is an important way to verify underlying theory. First, it is possible to load a model with historical data and ask: how well does this model predict what we know happened? NASA and other scientific agencies have done this and found that the models work well. A second way to test is to use the model to predict upcoming changes and then to see if emerging reality fits. It is possible to track the rapid retreat of glaciers and observe the summer melting of the Polar Ice Cap. Sea levels are rising measurably, the temperature of the world’s oceans is demonstrably rising and consequently many fish species are moving to follow waters that are the right temperature for them. Correlating these changes to the timing of rises in CO2 levels and temperature suggests relationship. NASA provides a good visual tool for viewing these relational models “in action”. In specific instances, for example, CO2 levels, temperature and ocean pH, the chemical processes are traceable proving direct causal connection. Climate Change – Scientists View – Do all scientists agree that climate change is occurring and is caused by human activity? Despite the apparent scientists view consensus among scientists, NGOs, international organizations, policy makers and the media, there are respected scientists who remain “climate sceptics,” that is, who doubt that the overall theory of human induced global climate change is correct, or that the observed phenomena demonstrate conclusively that it is, or that the observed phenomena are anything out of the ordinary (viewed in the time frame of “earth history”). It is important to separate these scientists from ‘sceptics’ who have a financial interest in denying climate change. 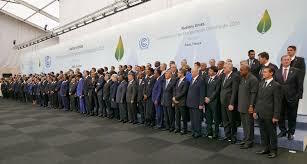 These people have been important in framing the climate change debate in the United States and the position of the United States government on the issue of climate change. Their success has little to do with alternative science, however, and everything to do with the permeability of the US political process to the influence of such actors. It is also important to separate these scientists from the ignorant and people who do not understand evidence-based science. Such people are simply uninformed or misinformed, make such ignorant statements as “it’s just a theory” or cite isolated facts as if they mattered. Their numbers have made this group politically powerful in the US, but their ignorance sidelines them in the global debate. Climate sceptics fall into three camps: those like Freeman Dyson, Bjorn Lomborg and Kiminori Itoh who acknowledge climate change, but think that carbon-based theory and current models are too simplistic to capture such a complex process; those like Ivar Giaever who think that the data is too thin to support such bold claims; and those like Will Happer who contend that the nice analogy of a greenhouse does not apply and that CO2 is too insignificant to be the culprit. An article prepared to accompany a petition urging the US not to sign global climate accords reviews each of the main contentions of climate change scientists view and presents data suggesting that each is wrong. The authors of the article cite data, for example, that suggests that the earth’s temperature today is essentially at the 3,000-year average global temperature, while during the Medieval period, long before the use of fossil fuels, temperatures were 24⁰ C higher. What has been the result of disagreement among scientists? Scientists have strong beliefs about the world they live in and personal agendas. The people who manage the funding agencies, companies, political action groups, political parties and NGOs that pay for their research also have ideological and organizational agendas. When talking about disagreements among scientists view, it is therefore important to distinguish between scientific contests between different theories, models and data sets, and the shouting matches among nonscientists who use science for their own purposes. The key result of disagreements among scientists view has been more science. Where climate-sceptics have challenged climate scientists’ time frames, data and theories, the climate change scientists have re-tested the climate-sceptics’ data and claims, re-tested and improved their own data and reworked their models and theories. Every time they return with improved results, the climate-sceptics do the same thing. To date, the ongoing research suggests that the climate change models are better and improving rapidly, but the continued contest demonstrates the living nature of the scientific process. At the start of “My cause is so critically important that a little exaggeration/a few lies are no sin”: This is the most common version indulged in equally by left and right. Environmentalists feel that “life on earth” or whatever is worth any price; the hard right believes that the “climate myth” is simply another internationalist plot to impose government control on free people – whose freedom must be protected at all costs. In both cases, attention to the truth takes a back seat. 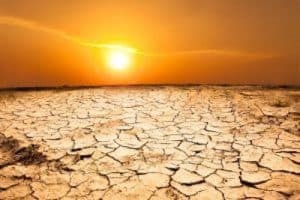 “The sky is falling” – “Oh, give me a break”: Here the divide is between the doomsayers (“Climate Change Impacts Could Collapse Civilization by 2040” report) and the perpetually disengaged (“Americans don’t worry much about climate”). The doomsayers will find any excuse to believe the worst; the “whatevers” see no reason for concern about anything. To put these contending positions in context and observe the misuse of science in action, remember, first, the 1970s and the gloom that surrounded the impending exhaustion of world oil resources that led to a policy of “pump America dry first” and then, second, the “oh, give me a break” reaction to the efforts that ultimately led to the 1970 Clean Air and Water Act. “They only believe in/deny climate change because they are [dumb, insane, evil, deluded, godless, terrorists…]”: This is such a common type of “argument” that it must be mentioned, although it is so illogical an “explanation” that it is hard to consider. Most people learned in primary school that such ad homonym attacks do not constitute compelling refutations, but such assertions form such an essential part of what passes for global “public discourse” today that it bears repeating that any such contention only bears tossing out. Because the global climate is a connected system climate change impacts are felt everywhere. 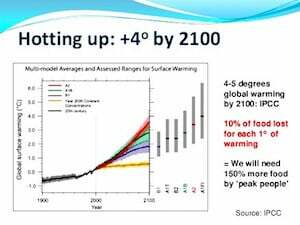 Climate change impacts rising sea levels. 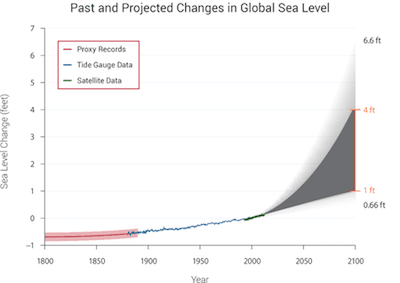 Average sea level around the world rose about 8 inches (20 cm) in the past 100 years; climate scientists expect it to rise more and more rapidly in the next 100 years as part of climate change impacts. Coastal cities such as New York are already seeing an increased number of flooding events and by 2050 many such cities may require seawalls to survive. 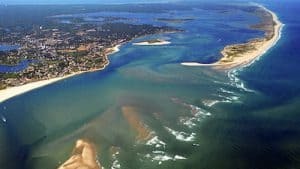 Estimates vary, but conservatively sea levels are expected to rise 1 to 4 feet (30 to 100 cm), enough to flood many small Pacific island states (Vanatu), famous beach resorts (Hilton Head) and coastal cities (Bangkok, Boston). If the Greenland ice cap and/or the Antarctic ice shelf collapses, sea levels could rise by as much as 20 ft (6 m), inundating, for example, large parts of Florida, the Gulf Coast, New Orleans and Houston. 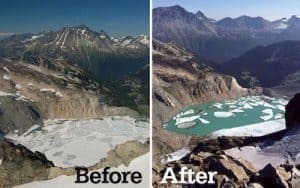 Projections suggest climate change impacts within the next 100 years, if not sooner, the world’s glaciers will have disappeared, as will the Polar ice cap, and the huge Antarctic ice shelf, Greenland may be green again, and snow will have become a rare phenomenon at what are now the world’s most popular ski resorts. 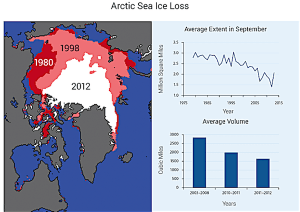 (Source: National Climate Assessment )To view an interactive map of changing polar ice coverage, 1979 to 2015 click here. 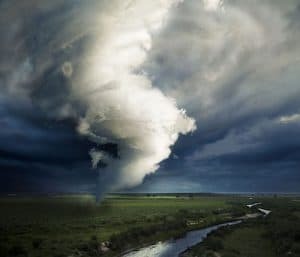 While the specific conditions that produce rainfall will not change, climate change impacts the amount of water in the atmosphere and will increase producing violent downpours instead of steady showers when it does rain. Hurricanes and typhoons will increase in power, and flooding will become more common. Despite downpours in some places, droughts and prolonged heatwaves will become common. Increasingly, however, hot, dry places will get hotter and drier, and places that were once temperate and had regular rainfall will become much hotter and much drier. The string of record high temperature years and the record number of global droughts of the past decade will become the norm, not the surprise that they have seemed. As the world warms, entire ecosystems will move. Already rising temperatures at the equator have pushed such staple crops as rice north into once cooler areas, many fish species have migrated long distances to stay in waters that are the proper temperature for them. 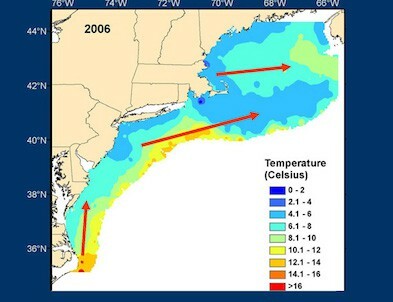 In once colder waters, this may increase fishermen’s catches; in warmer waters, it may eliminate fishing; in many places, such as on the East Coast of the US, it will require fishermen to go further to reach fishing grounds. Farmers in temperate zones are finding drier conditions difficult for crops such as corn and wheat, and once prime growing zones are now threatened. 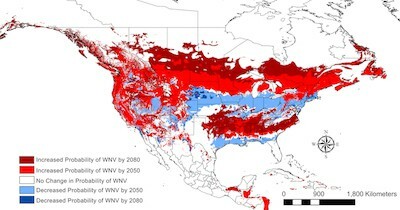 Some areas may see complete ecological change. 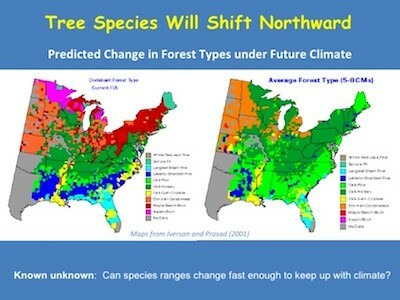 In California and on the East Coast, for example, climate change impacts and warming will soon fundamentally change the forests; in Europe, hundreds of plants species will disappear and hundreds more will move thousands of miles. One of the most striking impacts of rising temperatures is felt in global agriculture, although these impacts are felt very differently in the largely temperate developed world and in the more tropical developing world. Different crops grow best at quite specific temperatures and when those temperatures change, their productivity changes significantly. In North America, for example, rising temperatures may reduce corn and wheat productivity in the US mid-west, but expand production and productivity north of the border in Canada. The productivity of rice, the staple food of more than one third of the world’s population, declines 10% with every 1⁰ C increase in temperature. 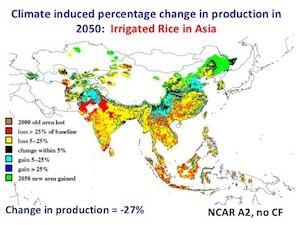 Past climate induced problems have been offset by major advances in rice technology and ever larger applications of fertilizer; expectations are that in Thailand, the world’s largest exporter of rice, however, future increases in temperatures may reduce production 25% by 2050. 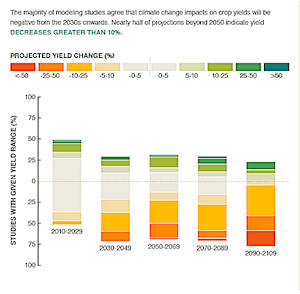 At the same time, global population models suggest that developing world will add 3 billion people by 2050 and that developing world food producers must double staple food crop production by then simply to maintain current levels of food consumption. Rising temperatures favor agricultural pests, diseases and disease vectors. Pest populations are on the rise and illnesses once found only in limited, tropical areas are now becoming endemic in much wider zones. In Southeast Asia, for example, where malaria had been reduced to a wet season only disease in most areas, it is again endemic almost everywhere year around. 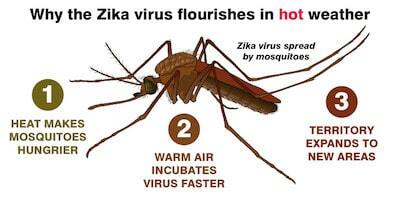 Likewise, dengue fever, once largely confined to tropical areas, has become endemic to the entire region. Increased temperatures also increase the reproduction rates of microbes and insects, speeding up the rate at which they develop resistance to control measures and drugs (a problem already observed with malaria in Southeast Asia). What have we done to manage climate change? To date, the effort to manage climate change has been a matter of high level diplomatic negotiations involving states and international organizations with a loud, but largely excluded fringe of NGOs, business groups, and minor political actors. “at a level that would prevent dangerous anthropogenic interference with the climate system”. It also set voluntary GHG emissions reductions that countries did not meet. Climate change difficulties – Why are climate change difficulties so hard to manage? Managing climate change difficulties arise from two, related reasons: climate change management is viewed as expensive and it poses what we call a collective action problem. When business and politicians talk about climate change, the first thing they mention is cost. If you start from the status quo today, adding CO2 removing equipment to a coal power plant is expensive – but only if you do not value the environment. 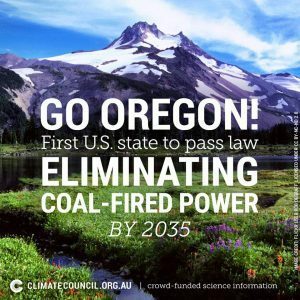 When you buy coal for a power plant, you pay for a limited resource and the cost of supplying it to you. 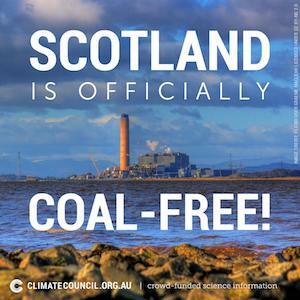 Today, when you dump the GHGs and black carbon from burning coal into the air, you pay nothing. But a clean atmosphere is a limited resource; the atmosphere will absorb only so much GHGs and black carbon before it is not clean, at which point it is costly to clean it.Logically, there is no reason why businesses that pay for a scarce resource like coal as an input should not pay for a scarce resource like the environment as a disposal site. This is called “costing” or “accounting” the environment. If the environment is included among the basic costs of doing business that all businesses plan into their profit and loss statements, then “managing climate change” would no longer be an expensive extra. It would be a standard cost of doing business. Today, however, no one values the environment and, therefore, environmental expenses are considered “extras” and so expensive, not expenses. Collective action problems arise when all of the members of a large group enjoy a resource equally – say clean air – but protecting that resource must be paid for by each group member.When such situations arise – especially when the cost of protection is high – each member really, really wants his/her neighbors to pay and to avoid paying him/herself.Each person’s thinking is simple: “I’m just one person. If I don’t contribute, it won’t make any difference to the total amount of money raised, but it will save me money – and I will still get to breathe clean air!In our case, everyone enjoys a world which is not too hot and the climate is normal, but who wants to pay to change our dependence on cars and trucks and plastics and and and? So what happens?Where there are collective action problems there are collective action failures – and the higher the cost to each actor, the more likely the actor is to “free ride” – that is, to welch on his/her commitment and hope that others will pay (which they don’t for the same reason).In the case of managing climate change difficulties, as in all such cases, collective action failure means that all of us end up with less of what we want – an end to climate change. What does this portend for the current process? Don’t hold your breath. Slowing global and domestic growth, rising global and domestic divisions, especially the increasingly strident “us first” tone of domestic politics worldwide, and increasingly unsure leaders everywhere do not bode well for the kind of strong leadership by a small group of critical players necessary to overcome collective action problems. Many authors – academics, clerics, diplomats – have written on why progress toward a meaningful climate change treaty has been so slow, difficult and ultimately disappointing. You might want to start with a few of the following authors.None of these articles or authors are well known, but each comes to the subject from a different perspective – the Pontificate, a Nordic think tank, an Ecosocialist blog, an academic journal, a German magazine – and applies very different analytic tools. What is interesting is that beneath all of their differences (not least of jargon), all of these authors come to essentially the same conclusion for the same reasons. 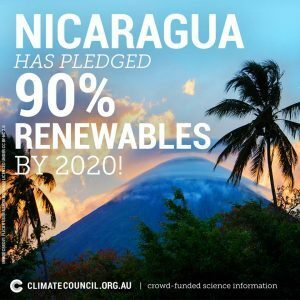 Climate Change – can we do more? What more can we do to manage climate change? Can we do more? It is clear that even if the international community manages to make further progress, it has a long way to go before it has exhausted its current agenda of negotiated restrictions on carbon emissions. It should also be clear that even with unimaginably successful negotiations, restrictions on carbon emissions will not do the job. To be blunt: there is too much carbon in the atmosphere and existing technology – cars, factories, airplanes, ships, buildings – will continue to emit huge amounts more into the foreseeable future. 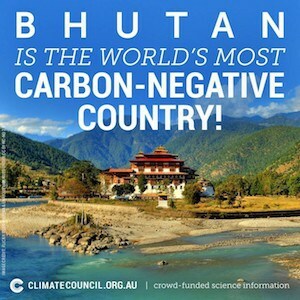 The only thing to do is to reduce the amount of atmospheric carbon. There are many experiments underway to find ways to do this. So far, only a few processes show promise. While different in many ways, these processes are similar in one critical way: they all remove carbon from the atmosphere by converting it into an inert form that can be sequestered permanently, that is, returned to a form where, like the fossil carbon forms, it is truly out of sight, out of mind and out of the atmosphere – forever. Another technology passes air across a huge surface of flowing alkali bath to capture CO2 so that it can then be converted to pellets. (Unfortunately, because CO2 is just 0.04% of the air, meaningful systems will have to be huge and much more efficient.) In each case, and in those of many other possible technologies, the issues are not scientific, but how to scale production cost-effectively. From a global climate change point of view, biochar production has great potential as it eliminates all of the black carbon and long-term GHGs from biomass burning, and is carbon negative. Estimates of sequestration rates vary, but by atomic weight, the production of 1 ton of biochar permanently removes 3 tons of CO2 from the atmosphere, as well as 6 kilograms of particulates and large amounts of NOx and SO2. Widespread biochar production in the developing world where most agricultural waste is field burned would annually remove millions of tons of CO2 from the atmosphere, and eliminate millions of tons of black carbon and GHGs. 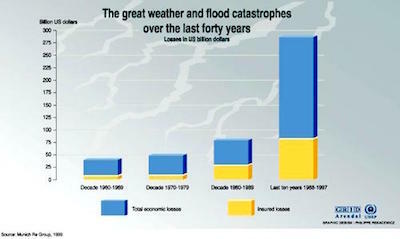 Climate change developing world – What impacts will climate change have in the developing world? Climate change affects the entire globe; its impacts are more pronounced in the developing world than in the developed world. 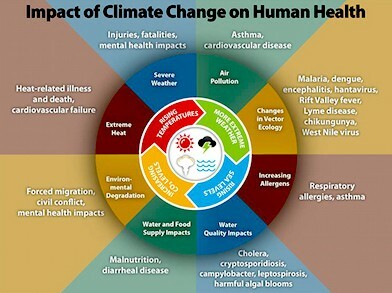 In fact, ironically, although most of the human activity that produces climate change occurs in the developed world, many of climate changes’ effects will actually be beneficial in the developed world. 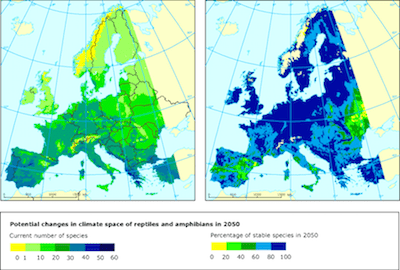 In the short- and middle-term, for example, climate change will likely increase fish and agricultural yields where populations are small and shrinking and productivity is highest. Climate change’s impacts in the developing world will be almost exclusively negative, often terribly so. Sea rise is expected entirely to submerge a number of small, island countries, and to flood coastal spawning grounds for many staple marine resources, as well as low-lying capital cities, commercial agriculture, transportation and power generation infrastructure and tourism investments. For an interactive map of how different sea levels will affect different coastal areas worldwide, ,see Sea Surge at Climate Central. Torrential downpours and devastating storms will increase large-scale damage to fields, homes, businesses, transportation and power systems and industry in countries without the financial or human capital resources to respond. Heatwaves and droughts will increase pressure on already fragile power, healthcare, water and sewage systems, as well as reducing countries’ ability to feed themselves or export agricultural products. Heat will also become an increasingly important killer, especially of the very young and the old. The handful of deaths during the European heatwave of 2003 resulted in a storm of press outrage that this could happen in the developed world. In 2016, sections of North Thailand suffered two straight months of temperatures of 105⁰ F (44⁰ C) without air conditioning, cooling centers, public health or hospital support. No one counted the dead, but there is no question that across the tropical developing world heat will become a major killer. In the developing world, changing ecosystems seem to result almost exclusively in the loss of important food species, for example of fish and staple crops, and the increase of malign species such as disease vectors. 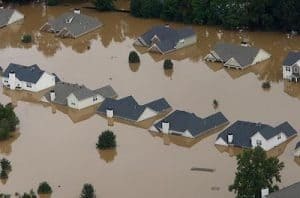 A study published in Nature, a leading scientific journal, provides data that suggest that climate change related phenomena have killed 150,000 people annually for the past 30 years, and that numbers will increase. The authors contend that included in the death count should be those killed by, for example, heat induced cardiovascular attacks, as well as those killed by malnutrition resulting from climate change induced crop failures, most of them, needless to say, live in the global South. Food security, already shaky, is crumbling under rising temperatures and related climate changes. Major staple crops are declining in productivity, while unlike in the developed countries, there are no new, more tropical staples to move in to take their places. Rising population combined with declining productivity, increasing incidence of drought and storms is increasingly leaving developing countries vulnerable of food shortfalls. Rising temperatures increase the reproduction rates of pests and so shorten the time required for insects and plant pathogens to develop resistance to control regimes. For a review of many of the different ways in which climate change affects pests, see JH Porter etal. Diseases, like pests, develop more rapidly in the heat and so do their insect vectors. 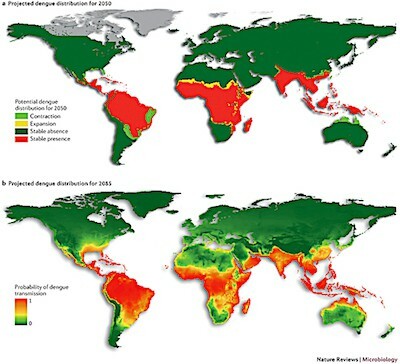 Moreover, with climate change, the range of critical vectors – mosquitos, for example, vectors for dengue, encephalitis, malaria, West Nile and Zika – all expand putting larger and larger populations at risk. Ongoing ocean acidification threatens more and more small shell fish, which form the broad base of the ocean food chain. Ultimately, this will threaten the entire ocean population and so the critical protein source for a third of the people on earth and a major industry. Can we adapt to the negative impacts of climate change? What happens in any given region, country or district, or how a given farmer or fisherman responds to the challenges can make a huge difference. Scientific, technological and extension resources in the developed world, for example, combined with highly educated and well-resourced farmers makes adaptation fast and easy. Developing world farmers, too, can adapt. They have, for example, fundamentally changed how they farm over the past 50 years, largely on their own. 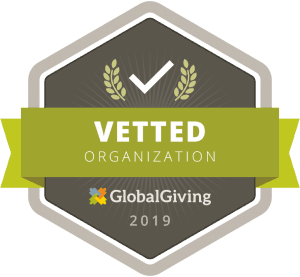 (Aid agencies and government ministries will contest this observation, but out in the field, there is little evidence that aid agency or government extension programs have reached very deep. Farmers have learned through imitation and judicious borrowing, not training and wholesale adoption.) The same problems that have constrained very small farmers and fishermen for the past 50 years will also inhibit their ability to adapt to rapid climate change. They have no financial cushion and so are risk constrained; they have little access to new techniques and materials; they lack the capital to invest in big changes to farming or fishing practice, however much they might like to make such changes; and they have no outside support. They are on their own to observe, understand and develop responses to climate change. What can we do in the developing world to slow climate change? They can reduce – even reverse – their one major contribution to climate change: unsustainable agriculture practices. What can the developing world do to avoid the mistakes of the developed world? Most power is generated in the developed world, much using old, dirty technology and carried long distances over inefficient power grids. Developing countries have the opportunity to build entirely new, distributed generation power systems that require no grids and use non-polluting technologies. Building greenfield industrial economies, developing countries have the opportunity to cost the environment and construct with non-polluting technologies. Not yet entirely dependent upon massive road-based transportation infrastructures, developing countries have the opportunity to design efficient, low-cost, high volume transportation systems to serve cities and industrial centers, and to use policy incentives to discourage personal automobile ownership and construct high quality public transportation systems. And because so much existing building stock must be replaced in short order, developing countries have the opportunity to build efficiency into individual structures and to design urban areas for high density, high energy efficiency living. Excellent models already exist in China, Korea and Singapore, and even the medium-term cost savings are so great that not investing to do better than the developed world today is foolish. 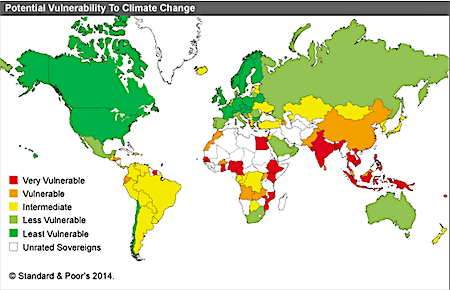 How can the developing world reduce its own impact on climate change? Improve agriculture. Globally, agriculture accounts for approximately one third of total GHG and black carbon emissions; the developing world, however, produces a disproportionate amount of this total – Asia and Africa between them producing 59% of the total. Three immediate steps stand out. First, rice production in the developing world, largely in Asia, which grows 90% of the world’s rice, needs to switch from flooded paddy propagation to SRI (system for rice intensification) techniques. This will largely eliminate the tremendous amount of methane produced by anaerobic decomposition in flooded paddies that alone contributes 10% of global GHGs annually. Second, developing countries need to control the practice of the open field burning of agricultural wastes (rice straw, corn stalks), which annually contributes millions of tons of eCO2 and black carbon to global warming. Third, developing countries need to develop aggressive national programs to promote the transformation of field wastes into biochar, which will sequester millions of tons of CO2 annually and eliminate both particulate and GHG emissions, while adsorbing NOx and other fertilizer derives emissions if added to soil. What are the prospects that such policies will be adopted? Low to middling. At issue are not scientific, technical or even cost considerations. The issues are, as everywhere, political. The international climate change regime sits very lightly on developing countries and with few exceptions there is no domestic ground swell of support for environmental initiatives. This allows rulers of any stripe to prioritize other, more pressing short-term concerns over abstract environmental programs with long-term pay-offs. Where tax systems rely heavily on customs duties and/or sales taxes, for example, governments often seize the popular populist option of incentives to encourage car ownership. 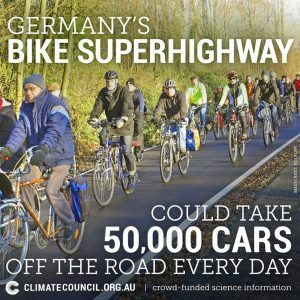 What does the likely failure of these efforts suggest about the global effort to stop climate change? 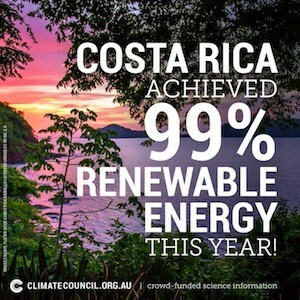 Here it is possible to see why countries free ride in the global effort to manage climate change causing the collective action failures that have left us looking at climate disaster. 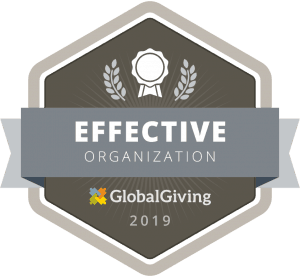 Leaders lack international incentives to act in politically costly ways and face powerful domestic incentives to do other, more politically pressing things. But do not leap to the conclusion that developing world leaders are the problem or are in some way special. The crisis of our times is not the result of tin pot dictators misbehaving. Don’t leave these final sections of our primer thinking that the rulers of the developing world are merely ignorant or misinformed or corrupt or the tools of malign outside actors. Talk to them and you will find that they are generally very well informed. Talk to folks in the know and you will find that, yes, they are corrupt by your standard and, yes, outside actors ply them with all sorts of temptations. But that said, you will also discover that their actions are seldom easily explained by the blandishments of their almost always frustrated “corrupters”. Think about what you learn when listening in on local politics and you will discern a very familiar political logic, the stay-in-power logic. These guys got to power by knowing how to mix-and-match, how to appease-and-pay. Every one of them has his or her ideals and everyone has his or her agenda – but everyone knows that the quickest way to kill a long-term goal is to blow a short-term necessity. Is this really a developing world phenomena? Think of American presidents who have left a real legacy. They were not nice guys. They were connivers. They played even their closest friends and allies. They were tricky. But FDR left us Social Security. And Richard Nixon left us Medicare. And Barak Obama left us The Affordable Care Act. 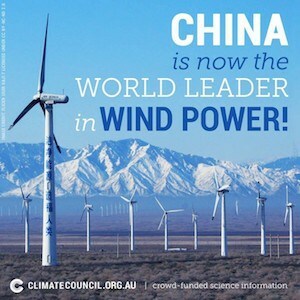 And Clinton, Bush, Obama – no American president to date has signed a global climate change accord. What does all of this suggest about your becoming a climate change maker? Start by embracing three things: (1) no one’s opinion makes them stupid; (2) nothing about the process is or will ever be simple; and (3) everyone you confront has really good reasons for doing what they do. If you can’t respect the opposition, deal with complexity or recognize that what you want may not be first on everyone’s wish list, get out of the business now! For current information about climate change visit our Environmental Progress News, updated monthly.